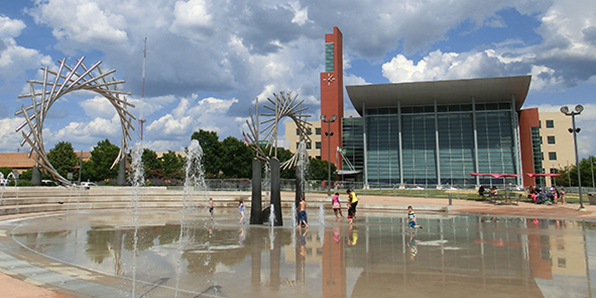 Warren is a humble city in Macomb County in Michigan. With over 53,442 households housing 34,185 families in residential properties with 30.6% of this figure having children, homeowners understand they need to preserve the lifespan and durability of their homes. That’s where we come in. Miller’s Home Improvements only concentrates on the one thing that matters: our clients’ satisfaction. Whether it’s a simple roofing repair after a strong rainstorm or a full roofing replacement for an aged home, we’re the people with the experience, training, and equipment that can do the job best. 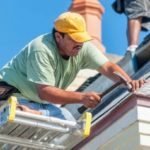 With over 30 years of experience providing quality roofing installations across Warren and its surrounding cities and counties in Michigan, we are confident in providing you only the best roofing service using the following materials listed. 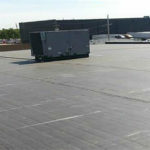 Modified bitumen is a cost-effective material for any new roof. Without requiring new joists to support the lightweight layers of asphalt, roofing felt, and gravel, our torch-down method ensures maximum expansion and contraction giving your roof the proper installation needed to maximize its durability and lifespan. 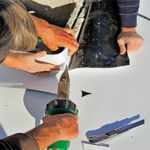 Thermoplastic Polyolefin (TPO) is an affordable single-ply roofing membrane capable of introducing excellent UV ray protection, home insulation, and durability lasting for an estimated 30-50 years. 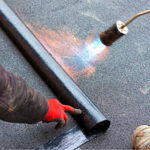 We highly recommend Ethylene Propylene Diene Monomer (EPDM) roofs as single-ply roofing membranes for any home because they are cheap, durable, insulates homes completely, and has a long lifespan with proper installation. 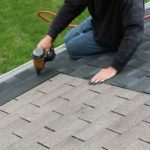 Working with renowned shingle manufacturer Atlas for every shingle roofing project we have, your roof only has the best and long-lasting asphalt, clay, tile, steel, or any variant of shingles installed properly and within parameters set by the manufacturer. Shingles are easy to install and maintain too! Whether it is a residential or commercial property that needs a metal roof, we have the experience, knoweldge, and equipment to ensure each aluminum, steel, or copper seam is installed for maximum UV protection and lifespan. Metal roofs can last up to 50 years with proper installation.